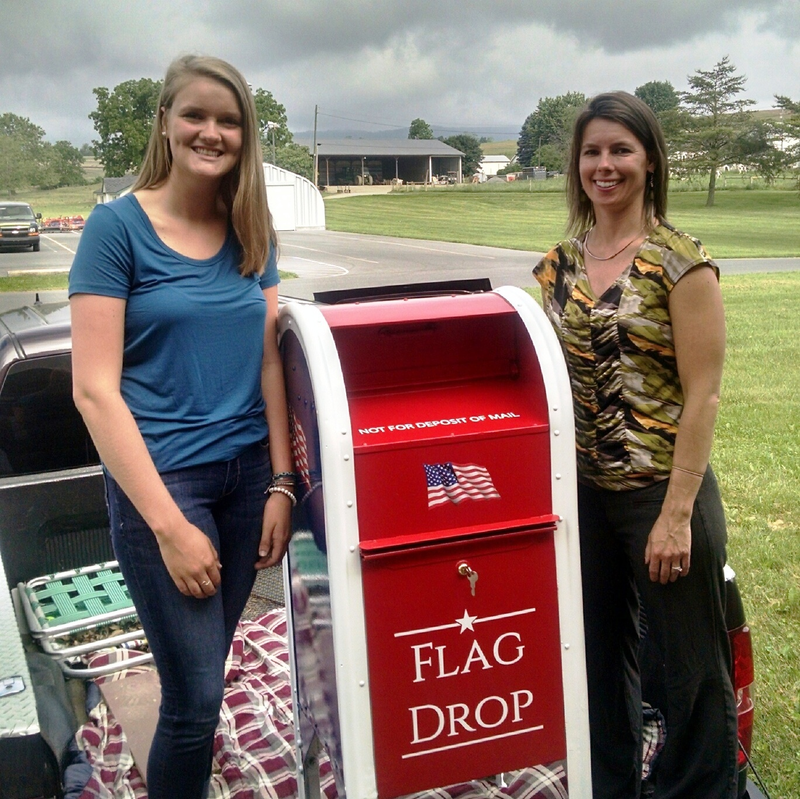 If you have been to the Post recently, you might have noticed our new flag drop box as you enter the main entrance. 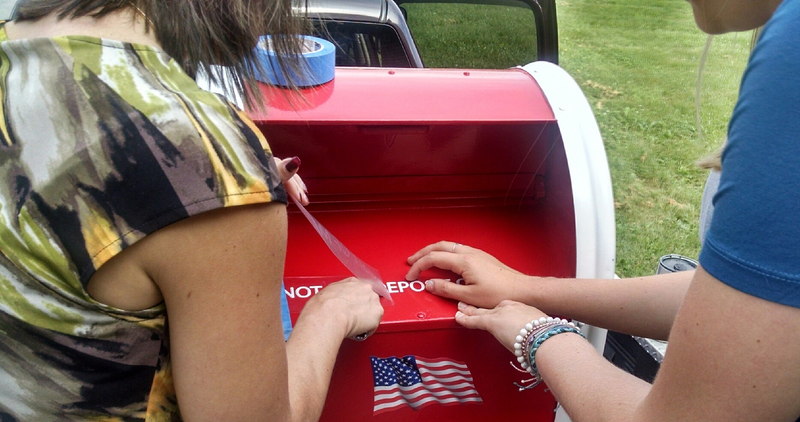 The Legion encourages those with worn out flags to place them in this receptacle; during the course of the year, our local Scout Troops assist us in a Formal Flag Retirement Ceremony to properly retire those flags. 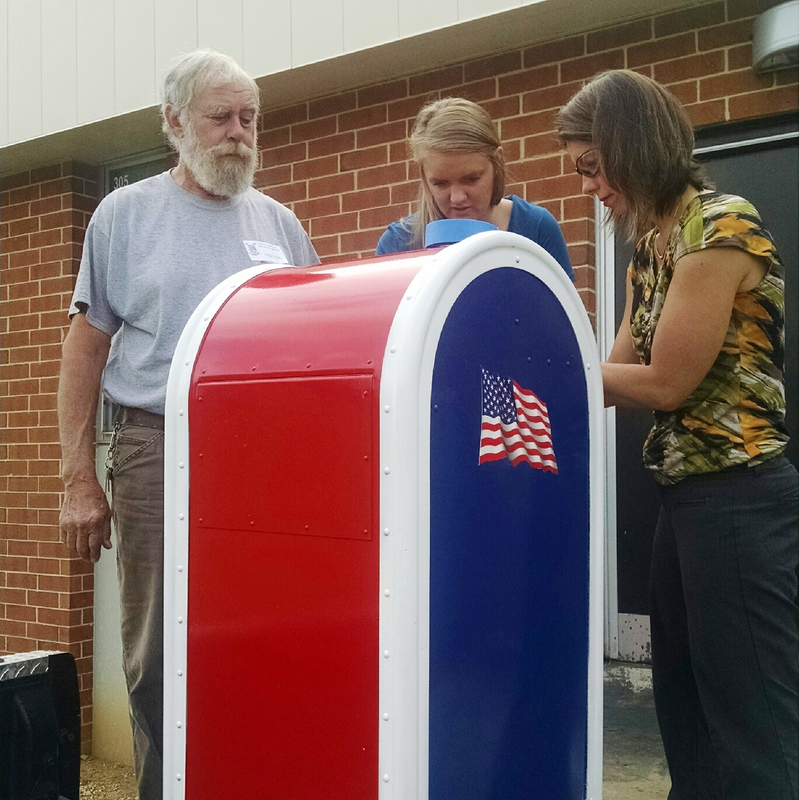 We thank Bob Ommert for acquiring the box and facilitating its restoration, Darrel Myers of DL Myers Welding for making necessary repairs, Danny and Gary Witter of Wit-Lane for their sandblasting and priming work, and Ed Goodman for painting and helping with the installation. We would also like to give special thanks to JBHS Technology Instructor Erin Martin and JBHS student (and technology problem-solver) Maggie Strawoet for helping us with the creativity aspect of this project! It looks great and helps us to provide even better service to the community!